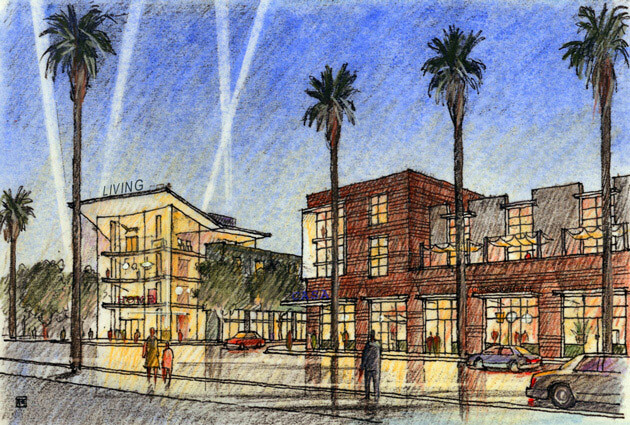 Adjacent to the historic Helms Bakery complex in Culver City, Culver Crossings consolidated an amorphous area into a major town center. 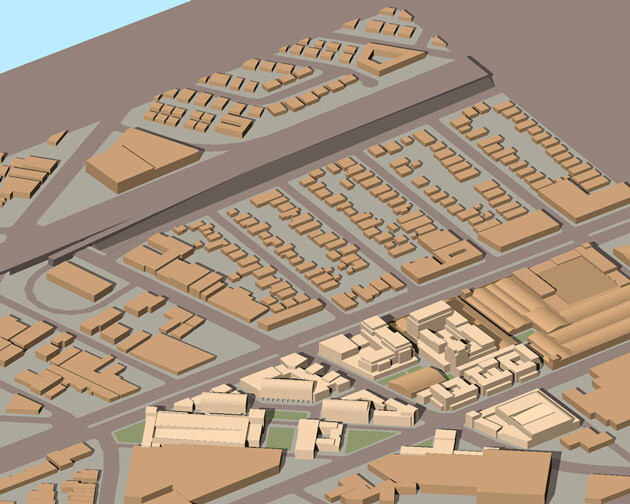 The boundaries of this urban infill development are formed by three major boulevards and the Metro Exposition Line. 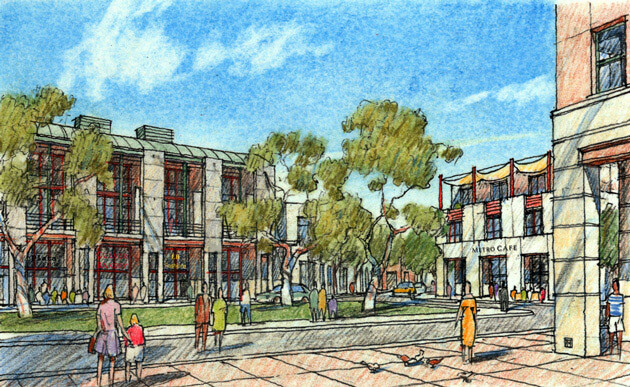 Designed as a transit village, it is oriented around an intermodal public plaza and directly linked to the future light rail station below. 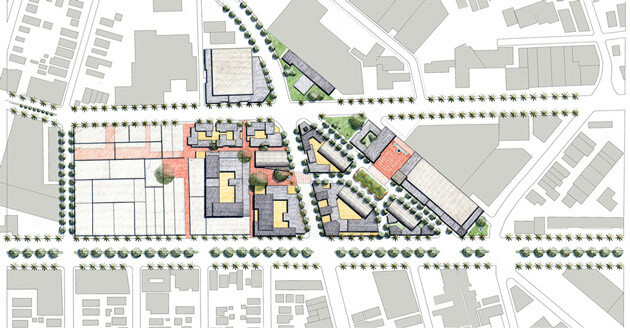 The plaza is the central focus of an open space network that integrates new community parks and streets into existing paseos, streets and semi-private courtyards. The plaza is defined by mixed-use buildings with ground floor retail and housing above. A park-once garage lined with live-work units serves commuters as well as visitors, linking and strengthening the pedestrian-friendly character of the project area. The project reuses existing industrial buildings and fills in vacant lots with new structures inspired by traditional commercial and mixed-use building types. At full build-out the project will include 400 housing units and over 200,000 square feet of retail and office space.